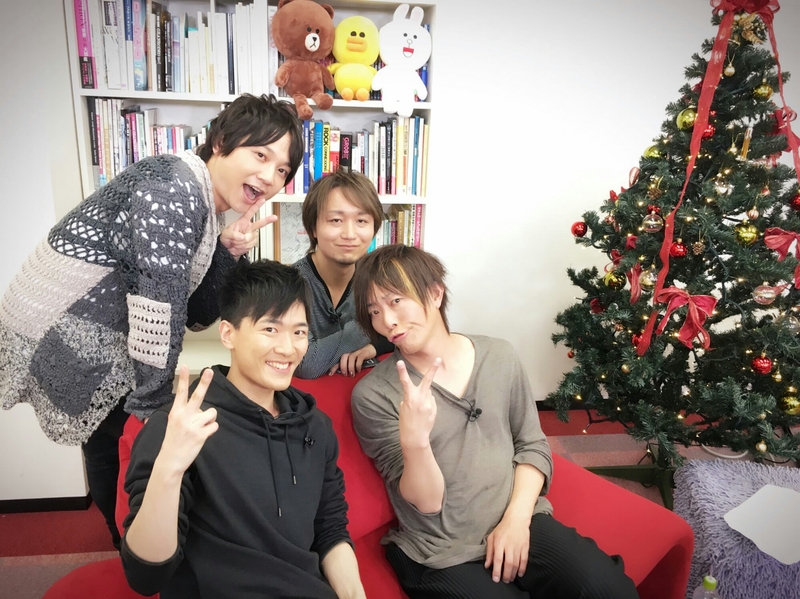 e-zuka will be joining JAM Project’s Kageyama Hironobu on Line Live tonight. They will be celebrating the latter’s 40th anniversary of his professional debut. Today was e-zuka’s turn, and while his video was short, it was even better than Kiiyan’s. e-zuka’s dining partner turned out to be a young seiyuu by the name of Itou Kumiko. 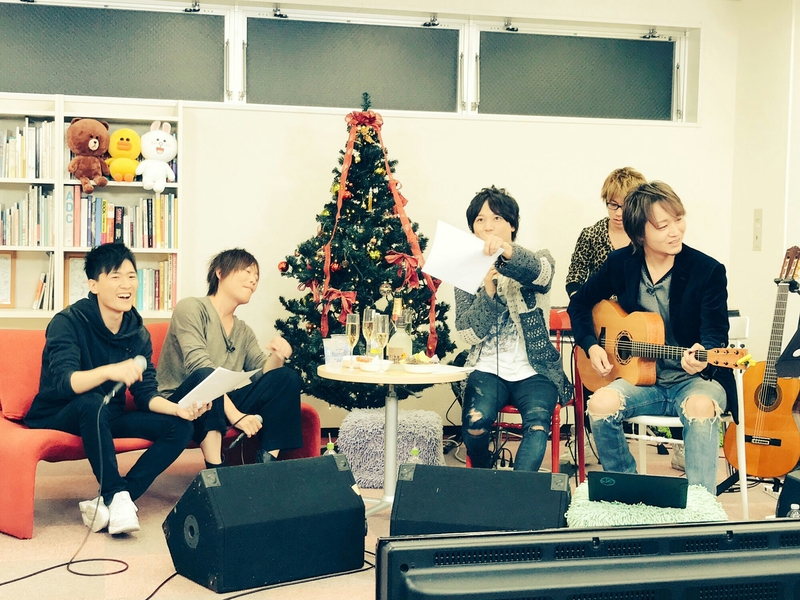 Once the wall was lifted and they’d introduced themselves (e-zuka said he was Oguri Shun), he found a guitar behind his chair and proceeded to make up a song with lyrics that were mostly her name, but also said she was cute, and good luck as a seiyuu. She harmonized when he asked her to join him in the song. At the very end, outside the room, he said “Seiyuu?” and cue Kiiyan, singing “Itou Kumiko” and briefly coming on screen. Lucky Itou-san, two for one! 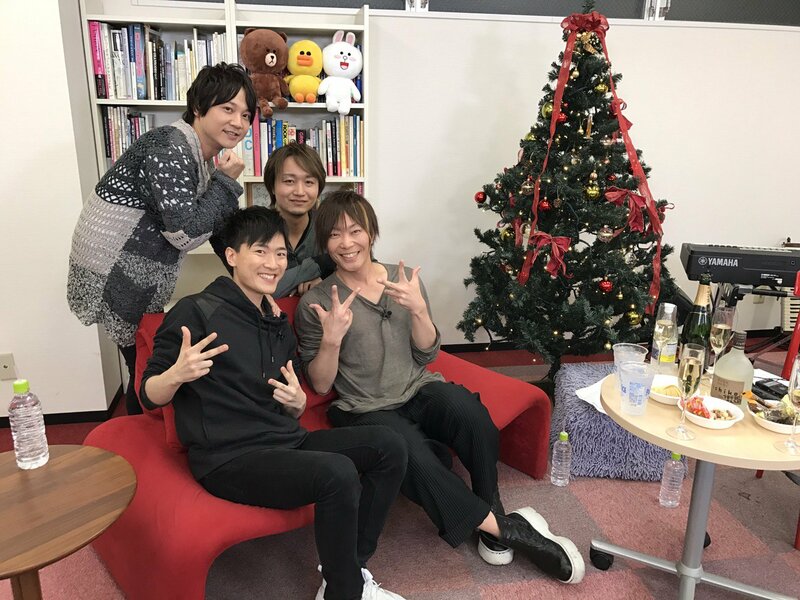 Yesterday, Kiiyan participated in a Sashimeshi Line Live where a random fan gets to have a meal with a random celebrity. It turns out this fan actually was a fan of Kiiyan’s, so was amazingly giggly throughout. And when she told him she likes to go to butler cafes, it prompted him to cut her steak and feed her a bite … after stealing a bite for himself! Bad butler, but very amusing. Lucky fan! Kiiyan and e-zuka once again composed a masterpiece theme song for the show, incorporating “do the hustle” as often as Kiiyan could fit it in. (Now if he would just do the hustle on stage…). Only a few screen shots, because it took me a while to figure out the Line Live app, alas. 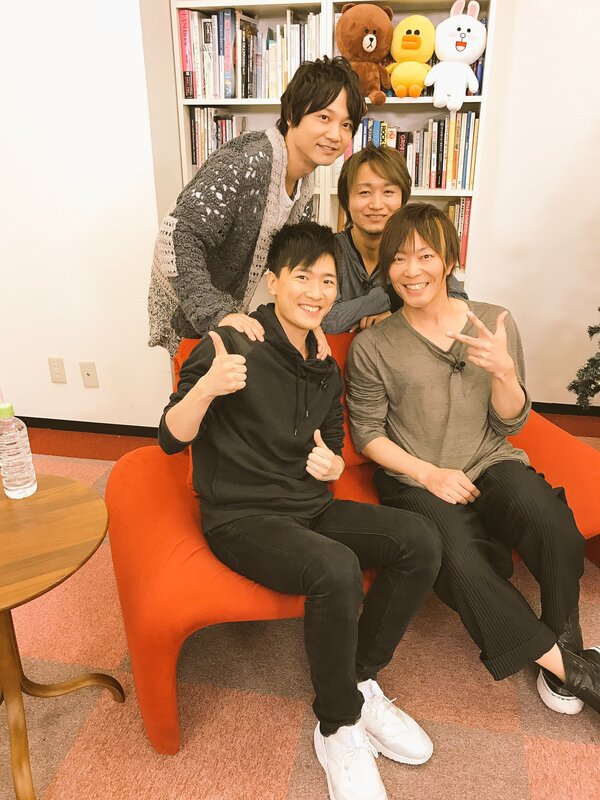 Kiiyan and e-zuka will appear on the 「ドキドキ！芸能人とテレ東で「さしめし」してみた！」Line Live tonight at 20:00 JST.